It is disappointing that this far in the process, the fundamental concerns of over 500.000 performers in Europe have still not been taken into account and that a major copyright reform such as this still does not envisage adequate measures allowing them to earn a decent living from the massive use of their recordings on the Internet. Contractual freedom is largely non-existent for performers. A “fair, proportionate and equitable remuneration” cannot be implemented by way of a simple principle (as suggested in a new recital 39a and article 14a new) and neither will it be achieved for all performers through articles 14-16. The latest changes to article 15, introducing a new condition to the benefit of the right to claim a contractual adjustment, would make the entire article meaningless. Stipulating that the disproportion in revenues may only be relevant if it is the “result of a change of circumstances that occurred during the exploitation of the contract” constitutes a negation of the widespread practice of unfair contracts (which are such by their very nature and not because of any subsequent event), although they precisely are the raison d’être of this article. It is also worrying that article 14.3 still enables countries to bypass all transparency obligations when a performance is deemed not significant. As they are, the provisions of the compromise amendments CANNOT, in their current wording, generate additional revenue for an overwhelming majority of performers. According to new recital 39a, “fair, proportionate and equitable remuneration” should be exclusively achieved through “a transparency obligation, a contract adjustment mechanism and, a dispute resolution mechanism and a right of revocation“. This could not be more wishful thinking: indeed it is provocative to state that fairness could be achieved via mere contractual means. Excluding the possibility to achieve these goals also via a new right (like the unwaivable right to remuneration proposed by the FAIR INTERNET partners) would not only render the entire directive meaningless for most performers; it would also jeopardise legal mechanisms that already exist in some Member States. Performers and their livelihoods are largely ignored in the prevailing online business models today. The EU legislator should not accept a market that has largely flourished to the detriment of performers, despite their key contribution to content production and cultural diversity. Performers must not be sacrificed in this reform process. The solution, allowing performers to take a reasonable part in the success of the Digital Single Market is simple. An unwaivable right to equitable remuneration for on demand use, paid by on-demand platforms and subject to mandatory collective management will guarantee a “fair, proportionate and equitable remuneration” for ALL performers. 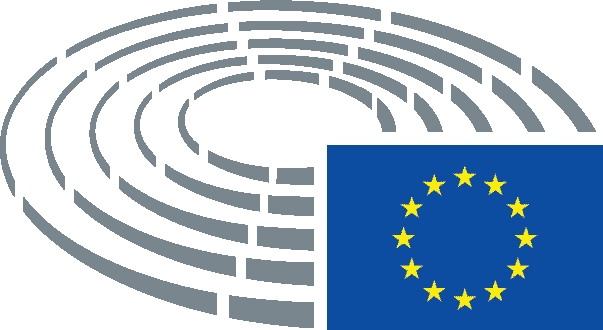 Members of the Legal Affairs committee have tabled several amendments proposing to introduce such a right in the draft Copyright Directive. This unwaivable right to remuneration is also fully supported by the Industry and the Culture committees in their opinions adopted in July 2017. Despite this support from different political groups/committees we are extremely concerned and upset about the unwillingness to include a right to remuneration in the set of compromise proposals to be voted on by the Legal Affairs Committee (JURI). As it is now, the online audio and audiovisual industry are mostly left to develop as profit seeking and making businesses, with little concern over a fair distribution of the wealth they generate. The European project is much more than just a business venture and, as consumption patterns are increasingly digital, performers would fail to understand if their legitimate concerns in the online environment were to remain so utterly ignored by decision makers. We need the active support of the EU Parliament to introduce such unwaivable right. 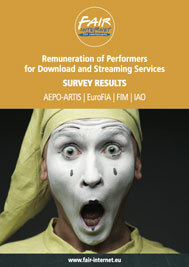 A positive outcome will transform the livelihood of the vast majority of performers in Europe by giving them a fair return for the exploitation of their performances online.